To call Les Ballets de Monte-Carlo’s reimagining of classic fairytale The Sleeping Beauty (La Belle) spellbinding doesn&apos;t even come close to an adequate description. The production is as beguiling as the national ballet company of Monaco itself, which graces Chicago’s Auditorium Theatre&apos;s stage for the very first time on March 3 and 4. The company, established in 1985 by Caroline, Princess of Hanover, honors the dance history of Monaco begun by Sergei Diaghilev and the Ballet Russes in the early 1900s. "Les Ballets is a contemporary ballet company, but its dancers are beautiful classicists," explains Huffington Post. Which, in a nutshell, hints at the mesmerizing experience that awaits Chicago audiences. When creating The Sleeping Beauty in 2001, Les Ballets de Monte-Carlo Artistic Director Jean-Christophe Maillot took his inspiration from Charles Perrault’s original version of the story, which focuses on the lesser-known second half of the tale and what happens when “happily ever after” turns out to be not so happy. Set to Tchaikovsky&apos;s classic score, this twist on Marius Petipa’s ballet is haunting and thought provoking, with visually stunning sets and exquisite, intricately crafted costumes. In Maillot&apos;s version of the story, a young prince learns of a princess in a nearby palace, cursed by the evil fairy Carabosse as a young child. The Prince resolves to rescue the princess, who has pricked her finger on a spindle and fallen into a deep, seemingly everlasting slumber. Once he arrives, he awakens her and instantly falls in love, marrying her in secret. When the Prince becomes King just a few years later, his marriage is revealed, much to the ire of the Queen Mother (performed by the same dancer who portrays Carabosse), who happens to be an ogress. The Beauty, now a queen herself, must contend with her mother-in-law while protecting her children. 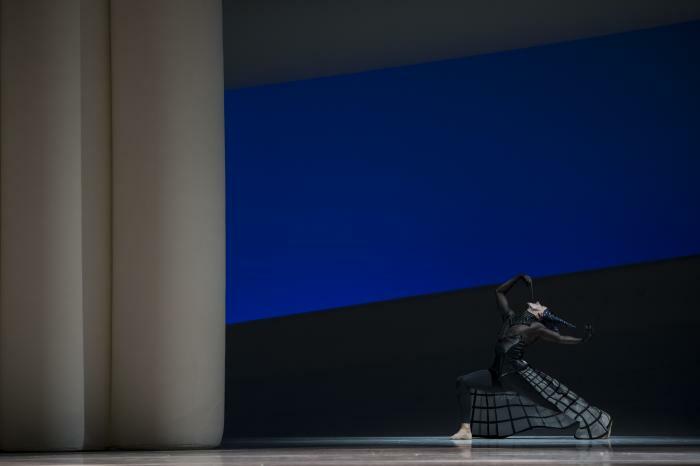 Maillot joined Les Ballets de Monte-Carlo as artistic director in 1993 and has created more than 30 ballets for the company, including The Taming of the Shrew, Opus 50, and Scheherazade, while also performing works by contemporary choreographers, including Alonzo King, Alexander Ekman, Shen Wei, and William Forsythe. "Under choreographer Jean-Christophe Maillot, the company has forged ahead on its own terms," states the Financial Times. And they’re terms enthusiastically applauded the world over. Tickets start at $41 and are on sale now! Purchase online, by phone at 312.341.2300, or in person at the Auditorium Theatre Box Office, 50 E Congress Pkwy. A Shout Out for Chicago Theatre Week, Feb. 8-18! Chicago Theatre Week is a celebration of Chicago’s world-class theatre scene. Presented by the League of Chicago Theatres in partnership with Choose Chicago, this festival is returning for its sixth year, with the opportunity to choose from more than 120 productions and sample the extraordinary range of theatrical offerings in Chicago at a discounted price of $15 and $30 tickets (or less). Check out the CTW18 participating shows and offer details. Please note that Theatre Week tickets are first come, first served, and some shows will sell out. Subscribe to the Theatre Week email newsletter, or follow @ChicagoPlays on Twitter, for updates and announcements.